I can teach you how to win your drug case. I was formerly one of the nation’s top drug enforcement officers and after a huge shift in consciousness, I now work as a filmmaker, media personality and expert witness. I use my past experience to expertly counter the court’s attempt to prosecute citizens for drug crimes. I know all the tricks drug cops and courts use to bend the rules to doom the defendant. I have guest lectured and taught thousands of criminal defense lawyers new strategies in terms of defending drug clients. Because I have made hundreds of drug arrests and because I have practices as a criminal defense expert for almost a decade, I can teach you how to win your drug case. You must know exactly where you are during the complicated court process of defending your drug case. 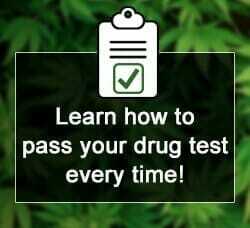 There are only 7 steps to all drug prosecutions and it’s very important to know each step. Lawyers RARELY teach their clients these steps as their way of keeping the client confused and afraid. Most defense lawyers want their clients to be confused and scared so they can talk them into an unnecessary and premature plea bargain. Learn these 7 steps and you will never “wonder” or “feel lost” during the horrible ordeal of navigating your drug case. Being arrested is a traumatic experience. I personally have been arrested and jailed 9 times and raided twice. Sadly, during my tenure as a decorated drug cop, I arrested thousands for drug crimes so I know how to behave during an arrest. Never pick a fight with the government. If you get violent, they know what to do with you. In fact, most American officers instigate aggression for the purpose of producing an adrenaline rush that comes when using force. As of the date of the publishing of this article, American police have kill 727 citizens since the beginning of 2015. This means over 3 people per day are being shot, choked and electrocuted to death by American police. Never get aggressive with the cops. I am sorry you suffered an arrest. I can help you through the trauma. It is important to know your bond amounts. Bond amounts ARE NOT what you paid a bonds person to get out of jail. To get out of jail, bonds persons normally charge 10% to 20% of the bond amount. If you do not appear for court, the bonds person must pay the entire bond amount to the court. Instead of paying the entire bond amount, most bonds persons send a bounty hunter to arrest the defendant and forcefully bring them to court. It is very important to never be late or miss any of your court dates unless you flee to a place that won’t allow extradition. If you can, it’s sometimes better to flee to another state or country to avoid prosecution. For example, a school teacher and her son in North Carolina were recently busted growing 30 marijuana plants in their house. Instead of facing prosecution, they simply paid the bondsman the full bond amount ($10,000) and fled to Colorado after learning their state would not extradite from Colorado. The bondsman was no longer on the hook for the full bond amount so he has no interest in sending a bounty hunter to arrest the duo. Fleeing can be an option. A Public Defender can be just as good as a “high-dollar” lawyer. In fact, as part of local court rules, most expensive lawyers are required to take a certain number of public defender cases each month. If you have not hired a lawyer already, DON’T! Request a public defender and use your money to hire Criminal Defense Expert Witnesses. This way you can have a defense team like the rich and famous. Don’t go into court with just a lawyer. Over 2 million people are currently incarcerated in the United States and all of them had “just a lawyer” so there that’s 2 million reasons why having only a lawyer doesn’t work. You can always fire the public defender and hire whomever you choose but first try your luck by requesting a public defender. You may draw an ace! You can easily navigate steps 1 through 4 by being your own lawyer. When you are being your own lawyer, it’s called “Pro se” and you have the powers and rights of any licensed attorney. Each citizen of the Unites States walks around 24/7 as their own lawyer or Pro se. Every adult is their own lawyer until they hire somebody to represent themselves. A person relinquishes that right when they hire a lawyer. You have already been arrested and made bond so if the upcoming step 4, wigs you out, lawyer up and let him or her obtain the discovery. Each person arrested in the United States has the right to review all the evidence the government is going to use against them. The government is required to allow the defendant, their lawyer and their experts to review the evidence for mistakes and to plan a defense. It’s very important to obtain all the discovery (videos, police reports, drug analysis, search warrant papers, dispatch logs, radio traffic logs, K9 records). After obtaining the discovery, you, your lawyer and your expert will review the evidence and find “holes” that will be used in Step 5 to get your case dismissed (suppressed.) Reviewing discovery is time intensive and can require days of focus. I have reviewed the discovery in over 300 cases and I always find mistakes. This is the step that precedes the jury trial. If a person wins this step, they are free to go. Since juries are predisposed to convict drug defendants during a trial, it’s very important to win the suppression hearing. The judge, prosecutor and police form a triad against the defendant. The judge claims he is impartial but that’s not true. The judge works for the government who is prosecuting you so he does have a huge interest or “dog in the fight.” The term “impartial judge” is an oxymoron like “Microsoft works” or “jumbo shrimp.” The defendant and lawyer are on one side of the courtroom and the cops and prosecutor are on the other side of the courtroom. There is no jury. Based on the “holes” found in the discovery, your lawyer will begin explaining to the judge why your arrest was improper and illegal. The prosecutor and cops will argue why the arrest was legal. Defendants rarely testify during the suppression hearing but the police always do. If the judge decides you are right, he will dismiss the case and you are completely free to go. If you lose the suppression hearing, you will progress to Step 6. If you take the government through a suppression hearing and lose, be prepared to receive a harsher plea offer because the government knows you will probably lose at trial. In fact, be prepared for the government to use this leverage to talk you out of a suppression hearing. It’s common to hear a judge and prosecutor manipulate a defendant by stating, “If you don’t take us through a suppression hearing, we will give you 3 years in prison. If you take us through a suppression hearing and lose, we will give you 30 years in prison.” It is vital to have an expert and his lawyers review the discovery to insure your lawyer is mounting a proper and aggressive suppression defense. Suppression hearings need to be closely monitored by somebody other than your lawyer. Suppression hearings are usually “cookie cutter going through the motions” with the judge pre determined to announce, “MOTION DENIED.” This means the defendant loses. If important people are watching your case, the government is less likely to railroad a defendant through the suppression process. I am a famous expert witness case consultant who operates in all 50 States and have successfully consulted in over 300 drug cases nationwide. In fact, I recently stared in a movie with Woody Harrelson, Susan Sarandon, Eminem and 50 Cent, “How To Make Money Selling Drugs.” The movie was released in the theaters in 2013 and featured my work as an expert witness. I can consult and guide defendants through the entire legal process while my lawyers insure the defendant’s lawyer is acting properly. I am not a lawyer but I work with some of the most famous lawyers in the U.S. Winning the suppression hearing is vital. Normally, it is not advised to take a drug case to trial. I have been an expert witness in several jury trials and we won but it’s rare. Try to win the suppression hearing and avoid a trial. At any time during steps 3 through 5, you may be offered a plea bargain. Negotiating a plea bargain is a complicated game of chess so it’s very important to have others on your defense team to insure your lawyer is not trying to sell you out. Great work! This advice applies to many types of cases. The expert witness point and THOROUGH discovery review is especially valuable. Also an attorney that is part of the local triad club/ court mafia and not an outside defender should be considered. How do do you find an expert witness?